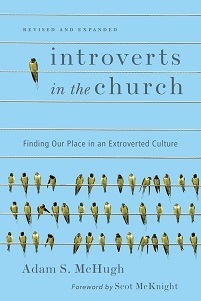 I've added Anne Jackson's Mad Church Disease to be my recommended books on the sidebar - I think it is a great resource for all pastors, but perhaps especially introverted pastors who might be quicker to burnout than extroverts. There is a new book on our topic, called Living Introverted: Learning to Embrace the Quiet Life Without Guilt by LeeAnn Lambert. I don't know anything about the book or the author, though I just received my copy from Amazon. 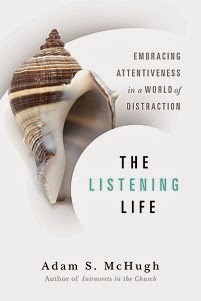 At first glance, it seems to offer a lot of practical suggestions for those introverts who struggle in social settings. One interesting thing I've noticed recently is that ALL the other books about introverts are written by women; as far as I know I am the first man writing a book length treatment of the topic. Any theories about this?